At long last, summer has returned as have the hummingbirds who zip around my garden, visiting flowers and chasing off intruders. (Kevin Colver: Songbirds of Rocky Mountain Foothills. Broad-tailed Hummingbird) Hummingbirds are a delight in the yard and so we plant flowers specifically to attract and feed them. 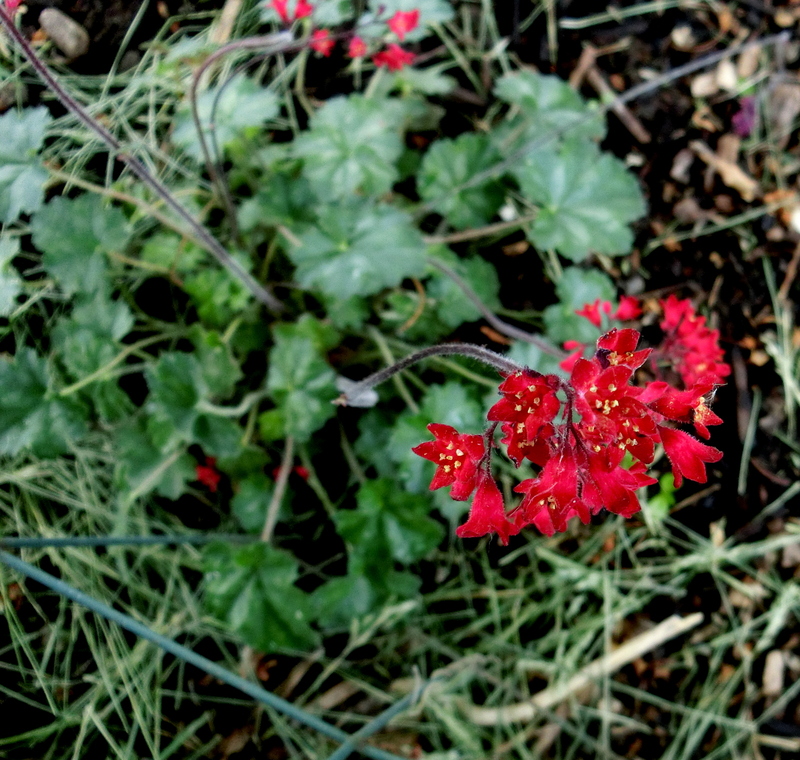 In general, hummingbirds prefer long tubular flowers especially those that are red, orange or violet. But not all these flowers are created equally. Hummingbirds visit flowers for their nectar which fuels their flight. Their long tongue reaches well beyond the tip of their needle like bill when they lap up nectar; capillary action then draws the sweet liquid up tiny grooves along the length of the tongue. Floral nectar evolved to attract potential pollinators. The floral nectary is generally found inside the flower, at the base. When probing for nectar, floral visitors brush by the reproductive structures. Pollen adheres to parts of their body and then at the next flower of the same species, some pollen sticks to the female stigma. This transfer is pollination. Many nectar-rich flowers grow well in Utah gardens. 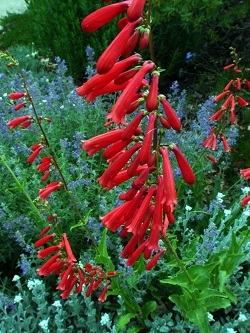 In the xeric garden, Penstemons are a good choice, as are Red Hot Pokers and Zauschneria, sometimes called Hummingbird Trumpet. 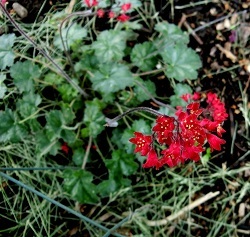 In more moist sites, red flowered Heuchera is popular. Some red flowered cacti and Trumpet Creeper are good choices, as are Agastache and many Salvias. Watch which flowers hummers visit. They will check out many blooms, but the ones they routinely return to are the ones yielding generous nectar. Many flowers produce little or no nectar, including some that look to us like good hummingbird flowers. Also, many horticultural hybrids and doubled flowers produce paltry amounts of nectar. This is Linda Kervin for Bridgerland Audubon Society. Next PostNext National Park or National Monument?